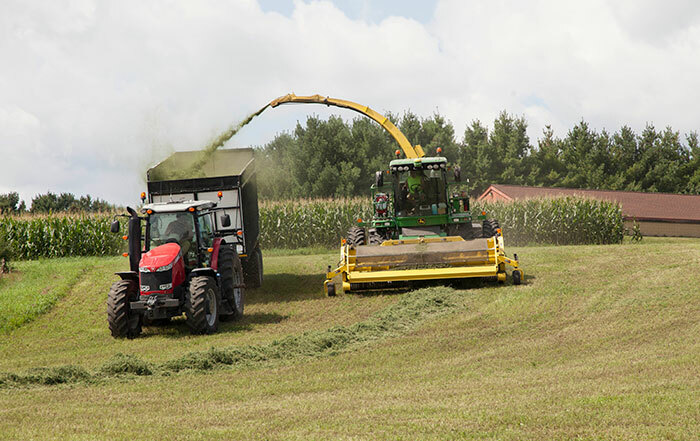 Forage inoculants have always been a “buyer beware” market. Unlike corn hybrids and forage varieties, there is precious little third-party testing of available inoculant products. Fortunately, there has been enough research to guide producers in their general use. 1. Not all bacteria with the same name such as Lactobacillus plantarum or Lactobacillus buchneri behave exactly the same. It’s the letters or numbers that follow these names that distinguish them. Only research done on a unique strain of bacteria will apply to that specific inoculant. 2. Inoculants are not a replacement for good decision making. For example, silage that is put up too wet may still turn butyric whether an inoculant was used or not. 3. Inoculants only work where they are applied, making it important to apply inoculants uniformly on the crop. 4. Apply inoculants at the recommended rate. There is little to be gained from applying more or less. 5. Inoculants do not detoxify mycotoxins. 6. Inoculants are not effective if applying to an already fermented, ensiled crop when moving that crop to another location. 7. Both granular and liquid inoculants are equally effective if the crop has sufficient moisture. For drier crops (about 45 percent dry matter), there is an advantage to liquid applications. 8. All inoculants, granular and liquid, need to be used within 48 hours of opening the packaging.